Mega Sale! 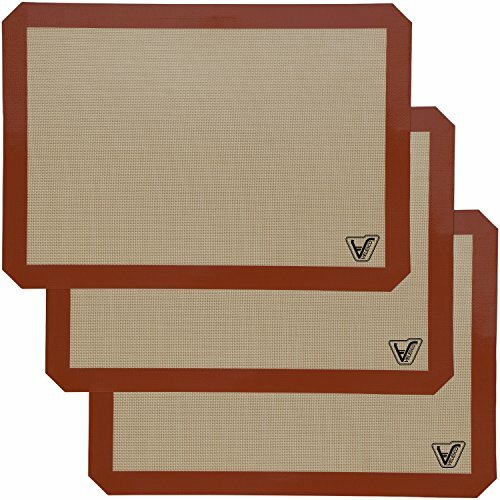 Save 27% on the Silicone Baking Mat - Set of 3 Half Sheet (Thick & Large 11 5/8'' x 16 1/2'') - Non Stick Silicon Liner for Bake Pans & Rolling - Macaron/Pastry/Cookie/Bun/Bread Making - Professional Grade Nonstick by Velesco at Baking Love. MPN: BM103. Hurry! Limited time offer. Offer valid only while supplies last. If you have any questions about this product by Velesco, contact us by completing and submitting the form below. If you are looking for a specif part number, please include it with your message.